Q: What is the result of combining the scientific knowledge of a well-known plant breeder and an award-winning dairy microbiologist with cooperation from nutritional sciences and allied health sciences? A: It all adds up to a tasty UConn-made yogurt that holds promise for its nutritional value because it is flavored with healthful berries from a plant called Aronia, also known as black chokeberry. The plant scientist is Professor Mark Brand, who conducts research at the Plant Science Research Farm and supplies the berries. 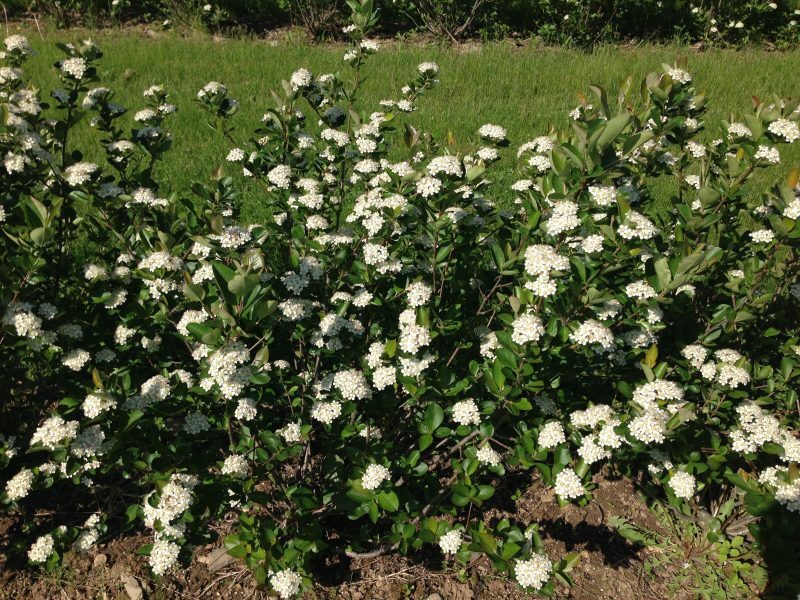 He has developed several Aronia cultivars, including Proven Winners® Low Scape Mound® and Low Scape Hedger®, as native alternatives to invasive shrubs such as barberry. The microbiologist and dairy scientist is Assistant Professor Dennis D’Amico, who devised a Department of Animal Science Creamery yogurt making system that uses the berries. 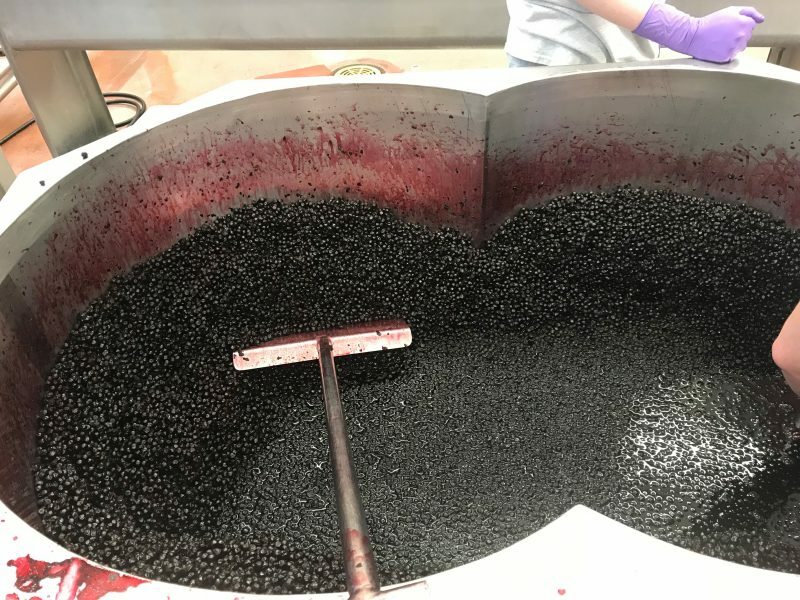 The Department of Nutritional Sciences’ faculty members Professor Ji-Young Lee and Associate Professor Ock Chun studied the nutritional benefits of the berries. Taste tests were done by Department of Allied Health Sciences Professor Valerie Duffy, Brand and others. And, there are a lot of berries! Last August, over thirty pounds of plump, purple berries were harvested from only six mature plants and given to D’Amico for yogurt making. 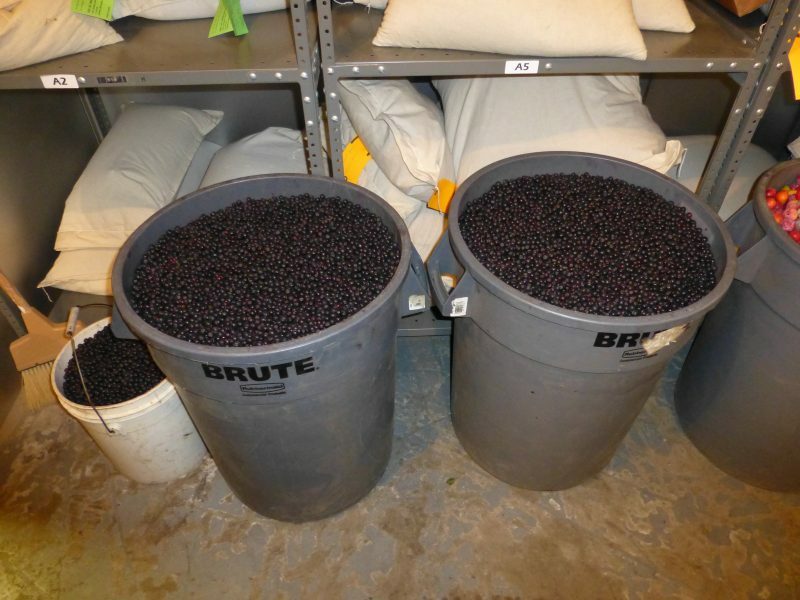 “Per plant yield can average between five to eight pounds per mature Aronia plant, or around six to eight tons per acre,” Brand said. The two researchers agree that this collaboration is also a great way to engage their students. “There is a lot of interest in novel crops by undergraduate students,” Brand said. His graduate student, Jonathan Mahoney, harvested the berries with the help of the UConn men’s crew team and Spring Valley Student Farm/Eco-house. D’Amico included the Aronia project as part of his undergraduate dairy technology class. He said that the students welcomed participation in the production process. Together, they decided on how to develop and formulate a product made with Aronia that could be manufactured in the creamery. Considerations included food safety, what dairy product worked best as the base for Aronia, what form of the berries would work best and provide the most health benefits and what type of milk to use. Incorporating Aronia into a food product was investigated using plain berry juice and ice cream. Taste test research on the juice was published in the journal Appetite. Duffy said about one of the results, “The juice needed more than sugar to be palatable and something to block the astringency, or the drying/puckering sensation.” In another trial by a graduate student, adding whole Aronia berries to ice cream resulted in unappetizing ice crystal formation. Attention turned toward putting Aronia in yogurt after a visit from the College’s 2017 commencement speaker, David Bouley. The renowned chef, who promotes the connection between food and health, tasted the juice as part of a College facilities tour with Mahoney. Bouley encouraged the collaboration to formulate a new healthy food product. D’Amico agrees that yogurt seems to be an ideal “healthy delivery device” for UConn’s Aronia berries. The palatability issue was addressed when D’Amico decided to use juice instead of whole berries. He discovered that the juice has less astringency and does not require lots of added sugar when it is extracted with an enzyme and incorporated into yogurt. 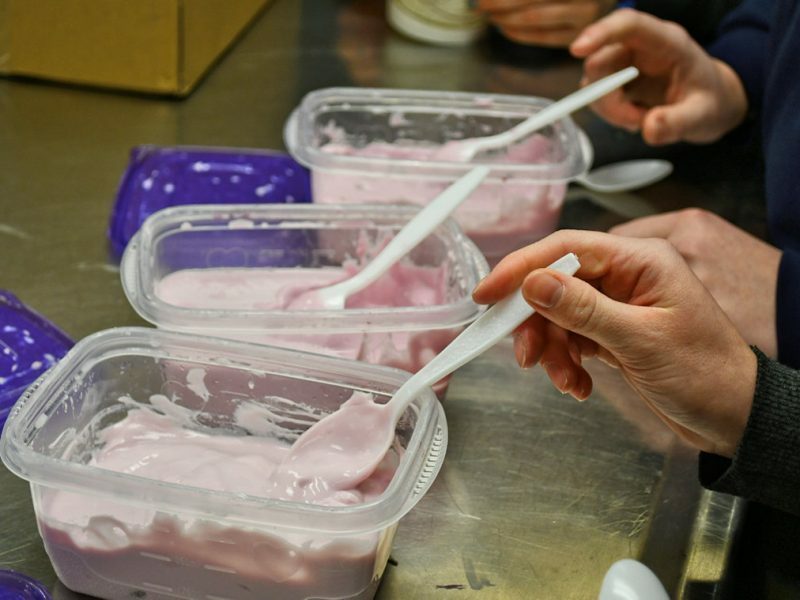 D’Amico obtained a license from the state of Connecticut to use the current creamery equipment, and his class made a 25-gallon test batch, which had some distinct advantages over mass-produced yogurt found in supermarkets. Pluses include a naturally rich pink color with no artificial coloring needed and a consumer-coveted “cream top” produced from using non-homogenized whole milk fresh from the Kellogg Dairy Center. In addition, D’Amico said, “This yogurt showcases the milk, and it can shine.” The yogurt has a longer shelf life because of the quality and freshness of the locally produced milk used, according to D’Amico. He was so proud of the yogurt, D’Amico personally took a sample to UConn President Susan Herbst. In addition, UConn Dining Services made it into parfaits and said that it was well-received. 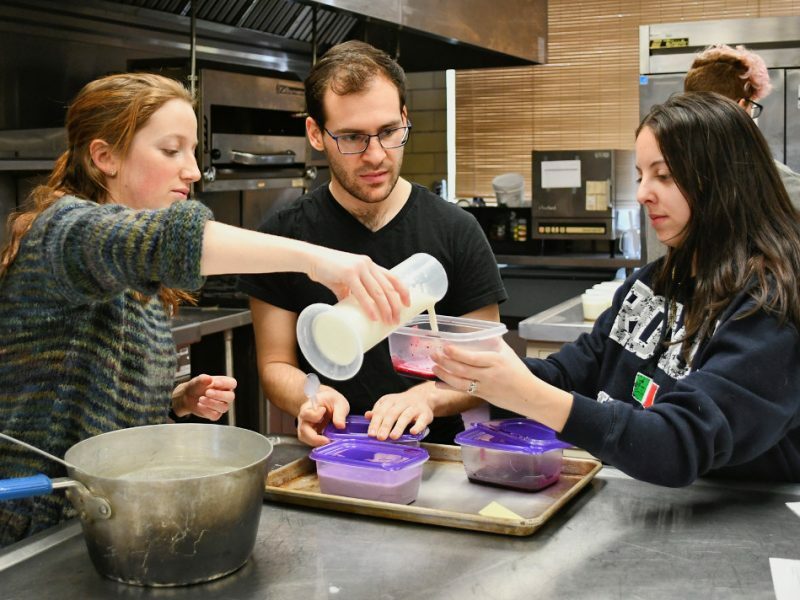 Both Brand and D’Amico are excited by the idea of the advance of Aronia as a crop and seeing the berries incorporated into dairy food products, perhaps for use at UConn. For Brand, Aronia is a viable new berry crop that could become mainstream in a way similar to that of cranberries. However, he thinks that product development for Aronia fruits is needed because the berries can’t be eaten fresh. He also said, “It is a wide-open playing field for modifying the crop because nobody has done anything with Aronia. 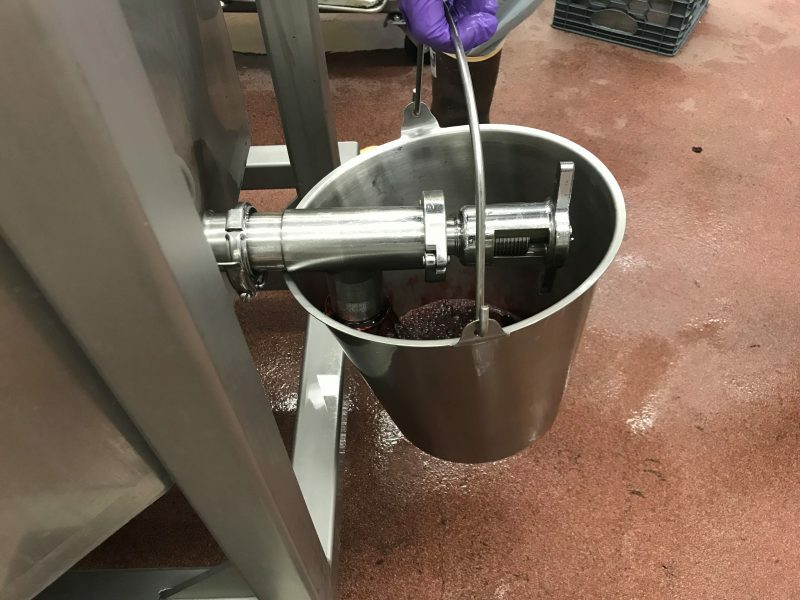 It should be possible to take some steps forward.” If Aronia is successful as a crop, Brand anticipates the need to enhance its large-scale commercial production potential. To that end, he wants to make it easier to mechanically harvest the Aronia berries by getting the heavy branches of the shrub off the ground. Brand is currently experimenting with grafting the native black chokeberry onto European mountain ash rootstock, which is related to Aronia. A bonus result is a more robust plant with larger fruit. It is easier to manage the weeds, too. Although Aronia is being grown around the world, ‘Viking’ is the only variety available as a food crop. This worries Brand. Pests could easily destroy all of the plants in production now. He is thinking of ways to add diversity for the future that would protect the crop. And, he wants to know how the yogurt’s properties are enhanced by the berries and whether the yogurt’s nutritional value changes if powder or whole berries are used instead of juice. With the Aronia berry harvest season approaching, D’Amico will continue to investigate these ideas with his class. See also The Daily Campus and UConn Today. The Department of Animal Science funded the yogurt manufacturing portion of the project. This entry was posted in Animals, Faculty, Food, Health, Nutrition, Plants, Research, Stories.